Architecture focuses on design and creative problem solving skills - learning how to develop and present architectural solutions that meet user, functional, technical and aesthetic needs now and for the future. You will be exposed to both international and domestic practices, learn in small group practice led design studios, have access to dedicated state-of-the-art studios, and have the opportunity to undertake industry experience and international field trips. Our architecture degrees are distinctive in their emphasis on urban design principles and putting the environment into architectural design. You will study in smaller classes, enabling more focused engagement with teaching staff. In the prestigious 2018 QS World University Rankings by Subject, Griffith is ranked in the world's top 150 for architecture and built environment. You’ll combine classroom studies, with practical studio work and fieldwork to gain real skills while you learn about urban systems, public places, designing buildings and all aspects of the built environment. Study with peer mentors and exhibit your work to industry professionals to help ensure you succeed. 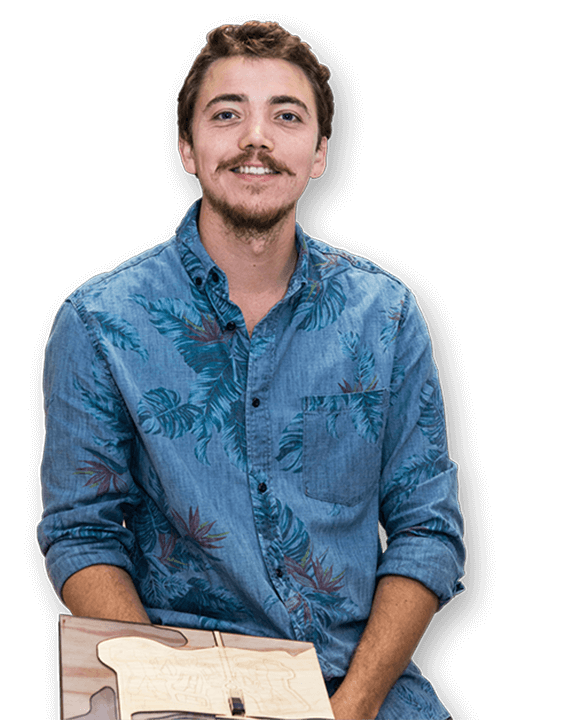 As a winner of the Griffith University French Embassy Award with his design for a Gold Coast cruise ship terminal, architecture student Matthew Boyle revelled in an amazing student experience. After travelling to France and enjoying a tour of Paris, Matthew spent two weeks working with students at the Strasbourg National Institute of Applied Sciences. The award gives Griffith architecture students the opportunity to work on a real project request from the City of Gold Coast, and the prize is a fantastic French connection. The Master of Architecture is a professional accredited program providing the academic pathway to registration as an architect. As a graduate, you will be qualified to work in Australia and overseas. With your technical knowledge and creative visual thinking skills, you will be qualified for a career as an architect or built environment professional. With your design skills, you can also find employment in a range of creative roles in fields like urban design, interior design, virtual environments, graphic design and the film and games industries.